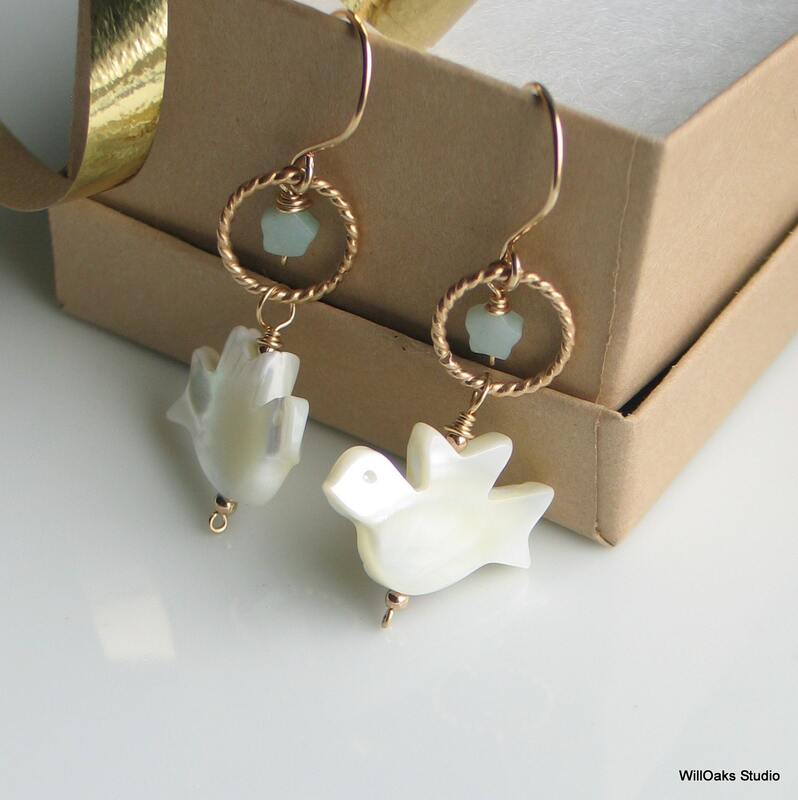 Symbolizing the true spirit of Christmas, holy and peaceful, with an original dangle earring design-dove, circle and star. 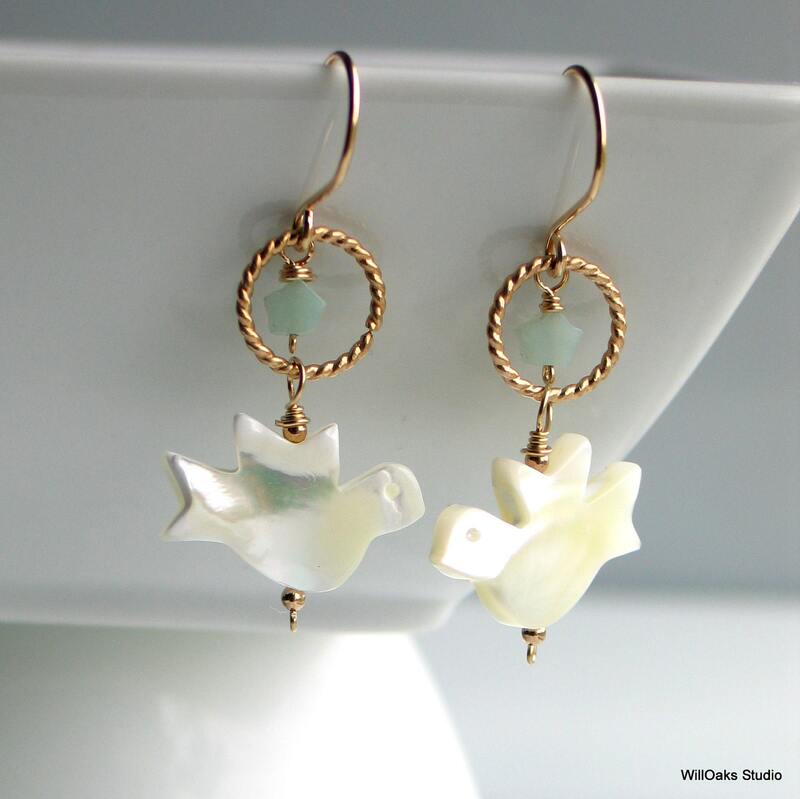 Carefully crafted with 14-20 gold filled metal, a mother of pearl hand carved bird, and a tiny star carved of pale aqua amazonite stone. 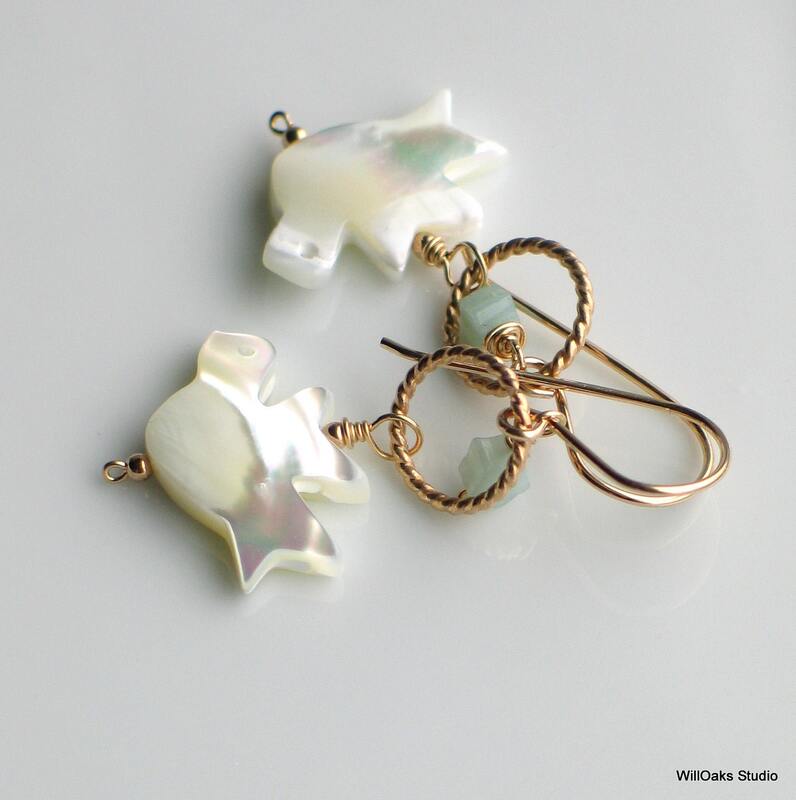 The white mother of pearl bird glistens, and the petite assembly dangles from hand made gold-filled ear wires for a total length, including the ear wire, of 1 7/8". 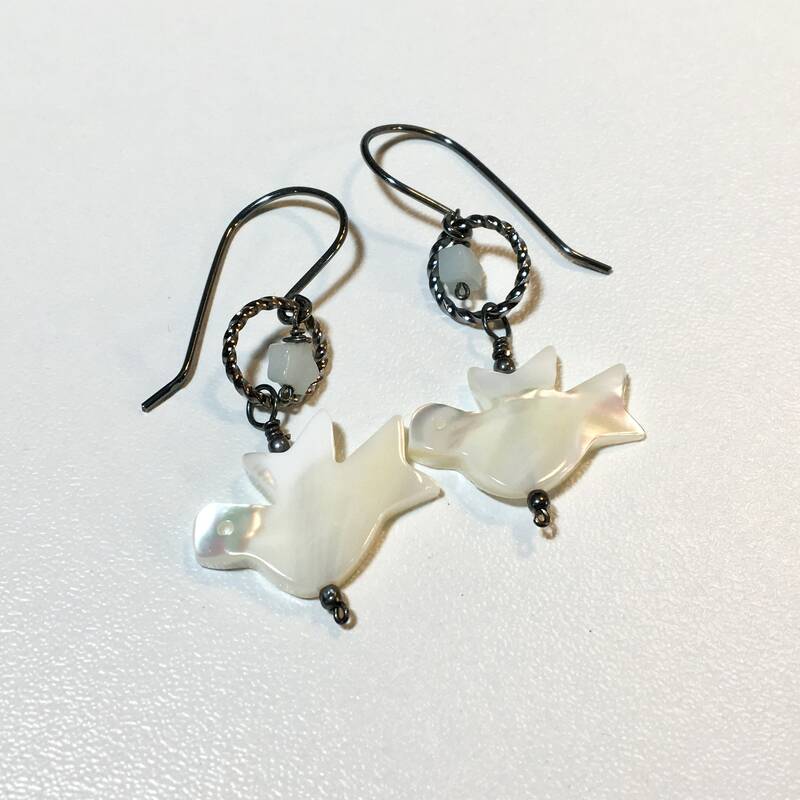 Also available in oxidized sterling silver-please make your selection at check out. I made this design to symbolize the true meaning of Christmas, as I see it. A hand carved white dove-a dove of peace, a holy spirit-is the center and is joined with the magical guiding Christmas star. A very limited edition and expect subtle variations since each little bird has been carved by hand. Light weight to wear and very swingy yet not too long. 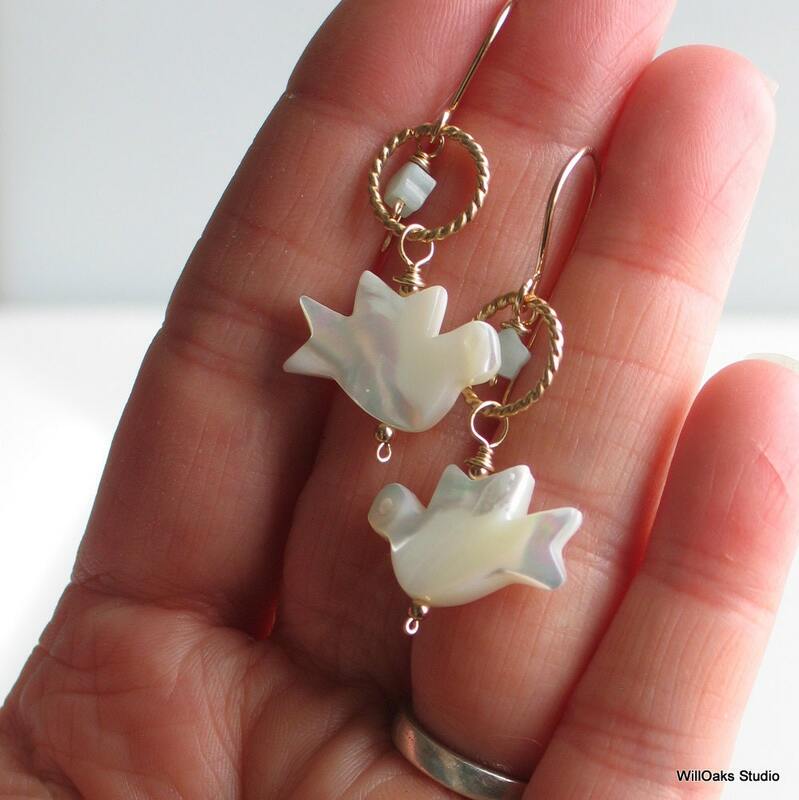 These are also available in oxidized sterling silver instead of the gold filled, 14/20 wire and beads shown here. Please note your choice at check out! 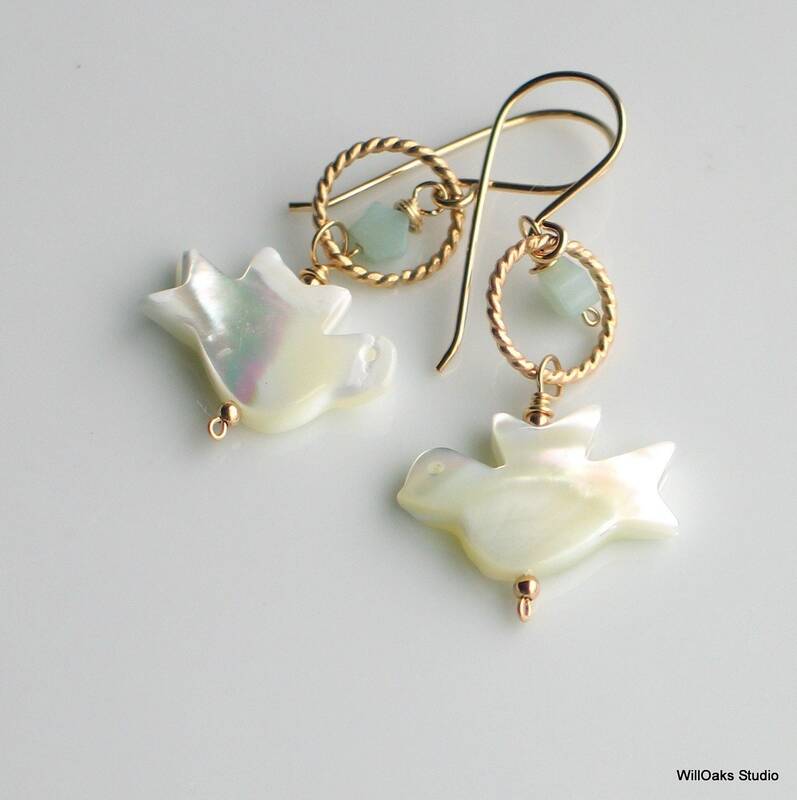 WillOaks Studio earrings are wonderful, affordable gifts! These are packed into signature gift boxes, all ready to give.